Plan your ride in real time with CycleFinder or the Transit App. 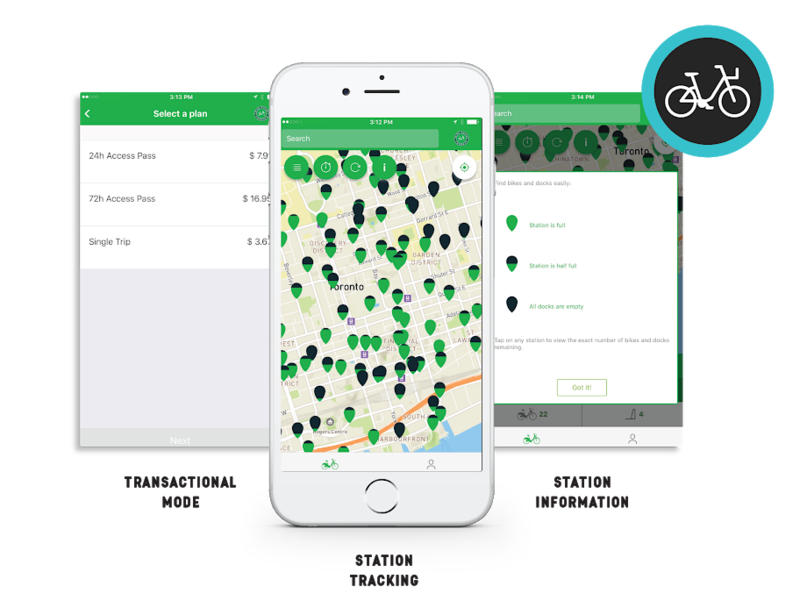 From getting ride codes to tracking real-time station inventory, bike sharing has never been easier! CycleFinder enables riders to plan their route from start to finish. With the app, riders can discover station locations, track bike inventory, locate available docks and receive ride codes in real time. Skip the kiosk and ride Toronto using your smartphone with CycleFinder. 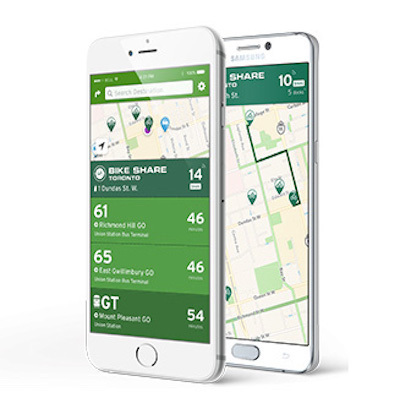 Integrate Bike Share Toronto into your transportation plan seamlessly with the Transit App! Locate stations, track availabilities and take out bikes while simultaneously accessing your other modes of transit with your smartphone.